The Infamous Ratsos live in the big city, where there is always something to do. 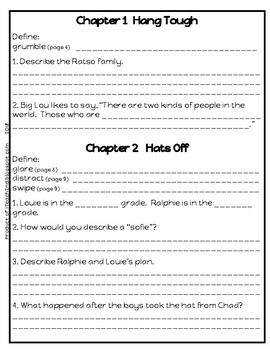 What do Louie and Ralphie do? You’ll enjoy the kindness twist in the story! Sharing a book with a close group of friends is a special time in my classroom. Students love the closeness of the small group and reading a book chosen just for them! 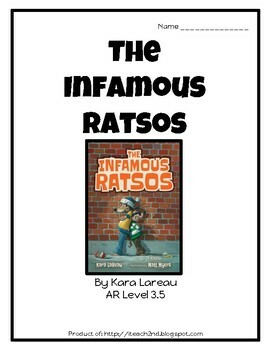 The Infamous Ratsos is an AR level 3.5 book. 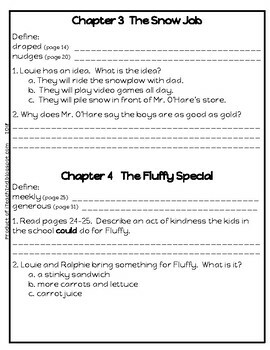 We hope your students enjoy this tale of kindness! Please leave your comments and feedback, we enjoy hearing from you. 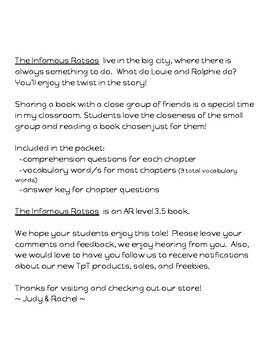 Also, we would love to have you follow us to receive notifications about our new TpT products, sales, and freebies. Thanks for visiting and checking out our store!